Whether your car is due for a routine oil change or your check engine light has just come on, finding the right auto mechanic shop can be a daunting task. 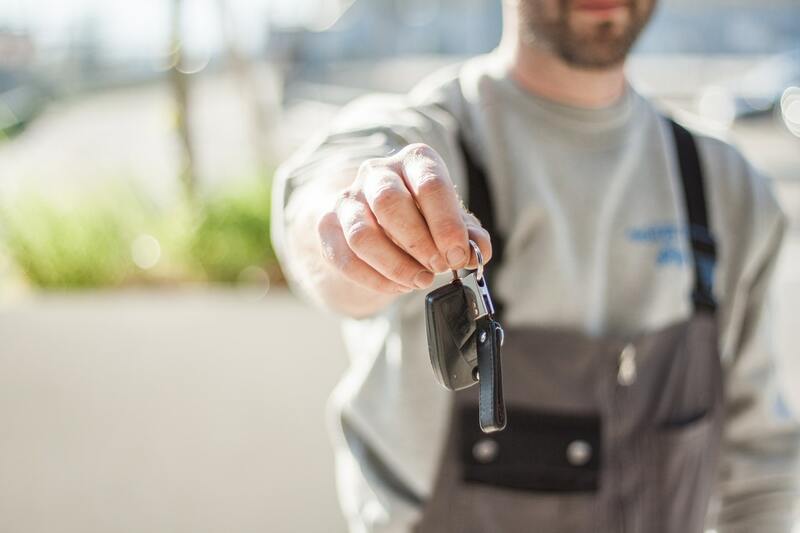 As your primary mode of transportation, you’ll want to ensure your car is in good hands with an experienced auto mechanic, who has the best tools and knowledge to get the work done right! 1. Great Communication: Coming in at number one on our list is great communication and customer service skills. Your car may be in the shop for a variety of reasons (e.g. tire rotation, new brakes, engine repair, diagnostic testing, etc.). And depending on the type of repair or replacement needed to get your car back on the road, you’ll want a mechanic who’s personable and who talks you through your options, so you can make well-informed decisions. A quality auto mechanic is one who explains the issue and is committed to ensuring you understand every step of the repair process as well as one who encourages you to ask questions. 2. Auto Mechanical Expertise: In addition to great communication and customer service skills, it’s essential that your mechanic has a superior knowledge of the auto industry and is trained to perform the type of work needed. Cars break down for a variety of reasons, so it’s important to choose a mechanic who can diagnose a problem quickly, come up with a practical solution, and use the best tools and equipment to fix the issue. 3. Professional Work Ethic: It should be easy to spot a professional work ethic. This is someone who doesn’t waste time standing around. Instead, this person is ready to get his or her hands dirty and does so by getting right to work on your repair, so your car is back to optimal function in no time! 4. Experience: Although this relates back to expertise, experience is a must have when choosing an auto mechanic. Because the auto industry is constantly evolving to keep up with new car designs and technology, your mechanic must have the hands-on experience, know how, and equipment to handle new and older vehicles. Why Make a Car Donation in the Twin Cities? The new year is traditionally a time for new beginnings. It’s the perfect occasion for setting new goals aimed at bettering ourselves and improving the world we live in. Perhaps one of your new year’s resolutions is volunteering or donating some of your personal belongings to local charities to support others in your neighborhood. But deciding which charity aligns with your values, works to make a difference in the lives of others, and helps promote a stronger community can be tricky. Depending on your personal situation, you may not realize that the perfect donation is actually sitting right in your garage or on your driveway. If you have an older vehicle in your possession that you’re thinking of selling, why not consider Newgate School first. Do you believe in second changes? We do at Newgate School. And we believe this starts with a quality education and real hands-on learning opportunities. At our auto repair vocational school, we offer unemployed or under-employed adults the chance to pursue rewarding careers as auto body technicians and auto mechanics. When you donate your car to Newgate, it will be used to help train students on how to professionally restore cars, which are then sold at auction. The money received after the sale is used to fund our school’s autobody mechanic training programs, allowing us to enroll more students and help them become contributing members of our great Twin Cities area. And your car donation extends well beyond our school’s training programs. Your auto donation also supports our “Wheels for Women” transportation assistance program, which awards single working moms throughout the Twin Cities a refurbished vehicle (at no cost) to help them become self-sufficient. 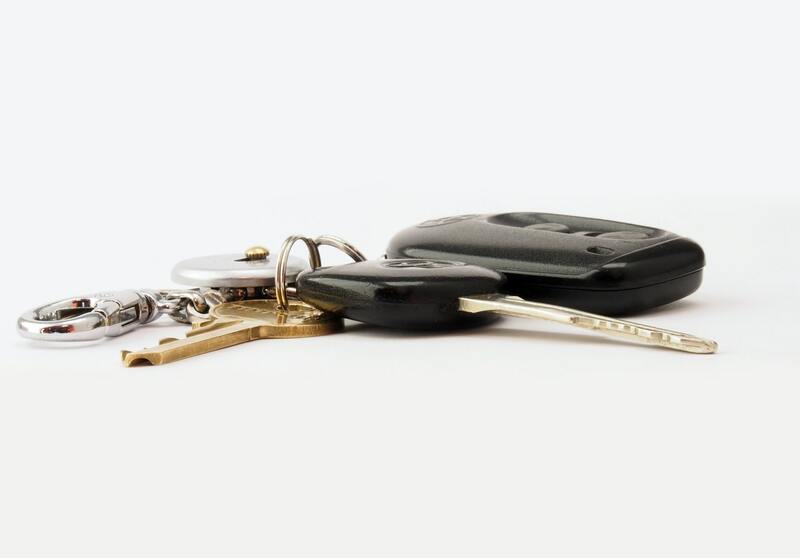 The first thing you need to do is bring your used vehicle and title to our school during regular business hours. No appointment is necessary! Once you arrive, we’ll help you prepare the title work and report the transfer electronically to the State of Minnesota. Once you receive a donation receipt and a copy of the title work, you can immediately cancel your auto insurance. In approximately 30-days, you will receive the final auto donation receipt that complies with IRS guidelines. The receipt shows how we used your vehicle and will help you determine the amount of your car donation tax deduction. If your vehicle is not drivable, call Dennis Dunn, Newgate’s transportation manager, at 612 378-0177, and he may be able to schedule a tow to collect your vehicle. If you’re looking to make a real difference when you give, why not donate your used vehicle to Newgate School rather than selling it. Contact us today or visit our website for more details. Your donation makes a difference! Minnesotans are gearing up for another winter season. For many drivers, the recent shift in icy temperatures means it’s time to purchase a new set of tires before the heavy snow hits. One popular question we’re often asked at our auto mechanic training school is whether all season tires are a better investment than winter tires, or vice versa. While all season tires perform well in snowy conditions when compared to traditional (or summer) tires—not to mention also spare you the hassle of switching your tires before/after winter—the fact is all season tires lack the dependable grip and traction of winter tires, making them less desirable for the snowy roads ahead. The sole purpose of all season tires is to provide adequate year-round performance in various driving conditions. What this narrows down to, however, is that your tires will perform well in moderate weather conditions, but they won’t offer advanced capabilities to handle extreme elements. So, if you’re living in Minnesota or any state that experiences intense seasonal changes, such as a snowy or below freezing winters, all season tires cannot protect you and your family from harsh outdoor elements. 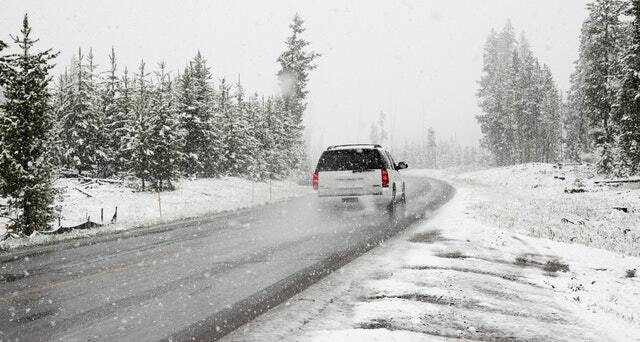 Winter tires are ideal for heavy snow conditions or freezing temperatures. Because winter tires are made of soft rubber, its tread is more flexible and won’t harden when temperatures drop. For more tips on how to winterize your car, stay connected with our blog page for helpful resources on car maintenance. If you’d like to learn more about Newgate School and how your car donation in the Twin Cities can help low-income young adults find rewarding careers as auto body technicians, browse through our website or contact us today! Where Can Newgate School Take You? Newgate School is all about transformation – both for the auto donations we receive and the incredible students we are able to teach. Each class of students is made of young men and women who are interested in mechanic training and want to make a change in their life. Some left high school before graduating and want to find a career. Others are learning English and auto skills simultaneously. Most find that the low student-teacher ratio and apprenticeship approach is where they really thrive. Diverse, passionate, and goal-oriented, each Newgate class receives a year and a half of auto body training or auto mechanic training. Additionally, the faculty provides personalized instruction on the soft skills needed to create a successful career. Our students’ success speaks for itself. “I'd hire more Newgate grads in a minute," said one employer of our mechanic school’s graduates. If you or someone you know is interested in mechanic training or auto body classes, consider Newgate’s two certification programs – Auto Body Technician and Auto Mechanics. "If you like figuring out how mechanical things work and enjoy a challenge, you will have a good career in auto mechanics," says Mike Scott, a Newgate instructor. "With over 4 million cars in Minnesota alone, there’s sure to be a mechanic’s job for you!" Unlike other trade schools, Newgate is funded through local car donations and restorations, giving each student the ability to have a free education that consistently delivers strong job placements. Learn more or start your application by connecting with Transportation Manager Dennis Dunn at 612 378-0177. Meet Tyesha! 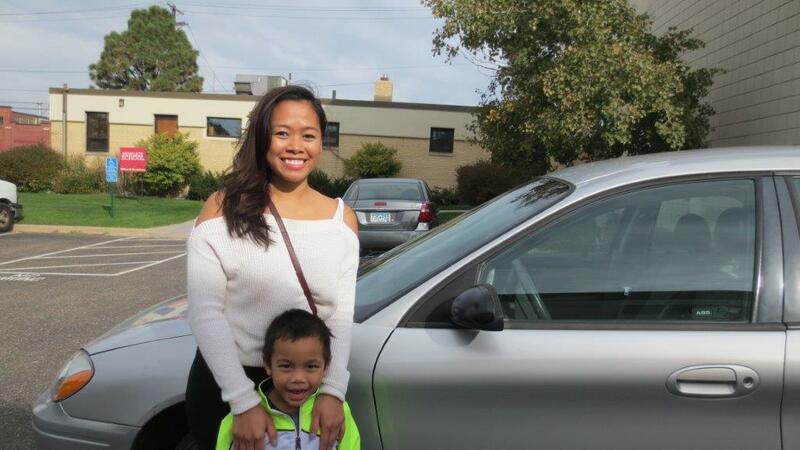 She's the latest amazing single Mom to receive a vehicle through Newgate's Wheels for Women program. She heard about the program through the Jeremiah Program, which prepares determined single mothers to excel in the workforce, and decided to complete the on-line application. "My experience with the application process was efficient and convenient. I was able to apply online and heard back a little over a month via email! The representative provided the VIN number the same day and we arranged pick up within the week." Newgate's Wheels program provides reliable transportation to single, working Moms who would otherwise not have a vehicle to maintain their jobs and get kids to school & daycare. Our students refurbish & repair eligible donated vehicles to get them ready for new ownership. "Our previous car was over 20 years old and our daily commute during the week is over an 1hr and 40 mins. round trip. With the winter coming it was imperative to have a reliable vehicle so my children and I could make it to school and work." Now she has the peace of mind a reliable vehicle brings for her family. "I am grateful for the generosity of those who donate to this program!" 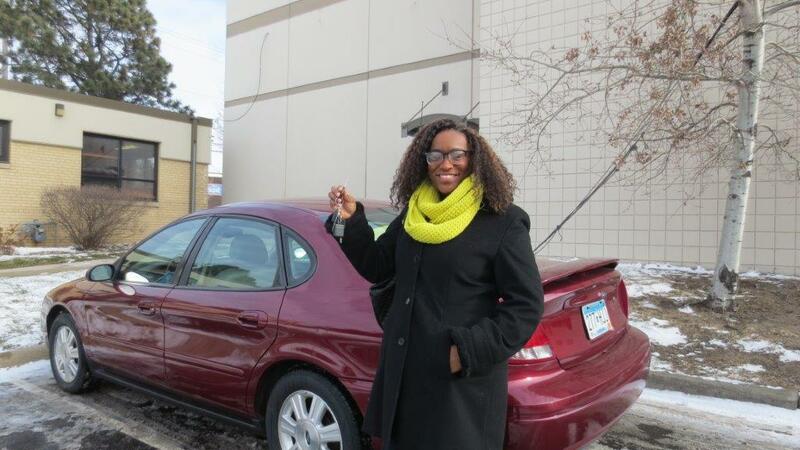 Her overall experience with the program from the application process to picking up her new car was awesome. "Their was absolutely no cost to me and the process was really efficient. This vehicle will help our family accomplish our goals of maintaining employment, finishing school, and pursuing additional streams of income as we work towards homeownership! This was the perfect Christmas present!" Meet Benedicto, one of our newest students in the Auto Mechanics program at Newgate School. Benedicto has always known he wanted to work on cars for a living. As a boy he worked on cars with his Dad, and then went on to pick up additional skills from his uncle, who worked as an auto mechanic. To start earning a living though, he wanted more formal training to add advanced skills and knowledge; but like many kids his age, he couldn't afford the costly tuition of many technical schools. That didn't stop him though and he started doing research online to find local options for training. That led him to Newgate and our tuition-free training programs. Once he came in and talked with our staff and instructors everyone knew he would be a great fit with the school! Waiting for an opening to become available was the hardest part and once his turn came around he dove right in to the hands-on training. At Newgate there are no textbooks and lectures. Everything is learned by actually working on the vehicles that need repair. That way students come out of the program with the experience and technical skills needed to be successful in their future careers. Newgate's reputation as a school that produces hard working and technically sound employees is well known. The placement rate for our students is in the upper 90th percent! And that means the majority of our students can start earning a good living as soon as they graduate. But that's not even the best part of the program! According to Benedicto, "the best part about Newgate is the way I can pay it forward even as a student here. I learn how to fix the cars I'll be working on in the future, and those cars are brought to the auction to be sold for revenue that comes back to the school to help future students. I'm learning but also helping make sure that future students get the same chance that I'm getting right now". We think it's pretty awesome, too! If you have a vehicle you'd like to donate to the school to help future students like Benedicto, please give us a call at 612-378-0177 and we'll be happy to give you the details. Plus, you'll receive the best tax deduction possible depending on the final use of the vehicle you provide. We'll assist you in capturing that value as well as with all the required paperwork. 10 minutes in our office is usually all it takes! 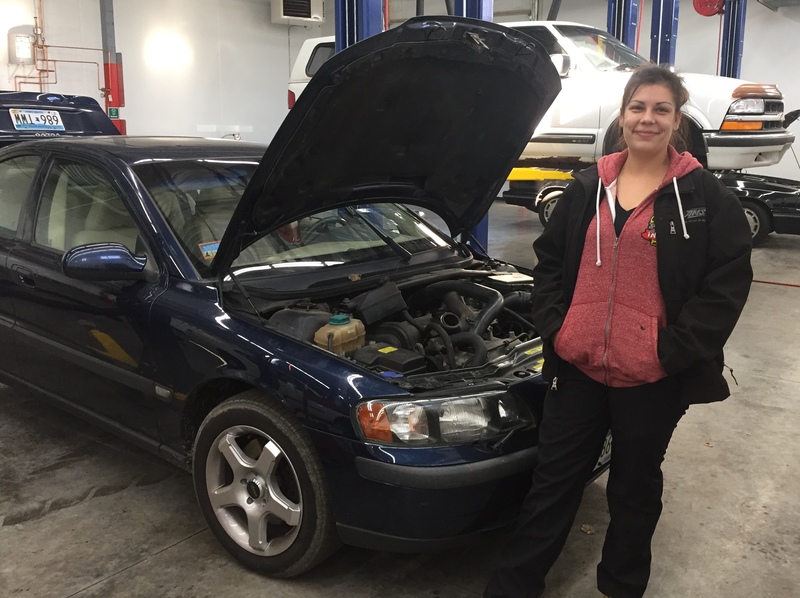 Shawna is one of the awesome new students in our Auto Mechanics program at Newgate. She grew up in a family that races cars so was around engines her whole life. Her initial career choice took her into health care where she spent 10 years nursing, but she always maintained her interest in cars and worked part-time at a local auto parts store. She eventually realized she was burned out on nursing and started thinking about what other careers she could get into for the future. Then her car broke down and she was told the new radiator she needed would cost $600! Instead, Shawna went and bought the parts it needed for $100 and installed it herself. That got her thinking she could work on engines for a living. It was fun and with the right schooling she could make some good money. That's when she learned about Newgate from a colleague at work. At first she didn't really believe it. What school would train her in auto mechanics for free? But she came in and talked with Dennis, Newgate's transportation manager, and Mike, who runs the Auto Mechanics program. It was a great fit and she started the program once an opening became available. She's a couple of months in now, and loves the training she's received so far. She gets her own vehicles to work on, and there's always someone available to help out with a problem if she needs it. Once she graduates, she plans to continue working at her current auto parts company as a service writer. She'll make a great living using her training to evaluate and diagnose vehicle problems, and looks forward to enjoying her work everyday. She's a great example of what Newgate School is all about and we look forward to following up on Shawna's story in the future! Meet Vicki, the most recent recipient of a vehicle from Newgate's Wheels For Women program. Vicki is a full-time working mom of 2 who recently separated from her children's father. "It was difficult starting on the road to self sufficiency after being in a completely dependent relationship. There was so much I needed to learn. I was left high and dry without a vehicle or funds to support myself and my children." "I started a full time job, but had to find ways to get to work each day. Not knowing whether I would find transportation to get to work or to bring my children to the sitter was one of the hardest parts about not having a vehicle. Doctor's appointments, and trips to the grocery store needed to be planned accordingly. It meant walking to our destination, borrowing someone's vehicle or finding a ride from a family member. It was definitely a struggle." Her sister was aware of their situation and told her about Newgate's Wheels For Women program. "I have never owned my own vehicle before. I am so grateful for the Wheels program at Newgate because I can now say I have a vehicle to call my own. I am able to take my children to the sitters, get to work each day, drop the kids at basketball practice, make doctor's appointments etc. It has changed our lives tremendously." Newgate students who work to repair and refurbish these vehicles are really proud to be able to "pay it forward" as well. The program provides them with tuition free training and they are able to provide single working moms with reliable vehicles at no cost. As one of our students said "This is the best part about the entire Newgate program." Vicki defintely agrees! She said "When picking up the car, I was filled with joy and disbelief. I could not believe that I was being handed a vehicle to call my own. Words cannot express how grateful I am. I appreciate you all at Newgate for helping me and my family out with a vehicle. It has been life changing." Vehicle maintenance involves repairs, oil changes and many other recommended services. However, it is common for even extremely responsible car owners to overlook the details and lose money on a vehicle they otherwise maintained carefully. Here are some simple tips for preserving the value of any vehicle, and most take only seconds to complete. You have more to worry about than just fuel economy when tires are underinflated. The tires will wear out faster and the risk of a blowout increases. Getting a flat tire while on the road could lead to an accident or other types of damage to the vehicle. Checking the tire pressure is a very simple task that takes only a couple of seconds per tire. Keep a gauge in the vehicle, and check the pressure about once a week before leaving for work. Always recheck when the outside air temperature drops rapidly because cold weather will cause the pressure to decrease. If your tire pressure is correct and you are experiencing a right or left steering pull while driving, your wheels may be out of alignment. This will result in premature tire wear. You should bring your car to a qualified mechanic who will correct the problem. It would seem as if birds really despise vehicles. The messes they leave behind are unsightly as well as dangerous to the surface of the paint. Bird droppings contain uric acid that quickly discolors the paint and, if left for too long, will cause extensive damage. The dropping dissolves wax and eventually the paint, leaving behind a dimpled, damaged surface. Checking fluid levels in between service appointments prevents breakdowns and unfortunate damage from a leak or other mechanical problem. A few minutes, when the vehicle is on a level surface and the engine is cool, is all it takes to check the oil, coolant and brake fluid and power steering fluid. Refer to your vehicle's owner/operator manual for information regarding your vehicle's specifications and follow recommended procedures when checking fluids. Top off the washer fluid too while under the hood so it is always available. Always remove garbage and clutter when exiting the vehicle. This is important to help prevent the buildup of odor, mold growth from old beverages or food, and stains if those things are knocked over. Leaving food in a vehicle is also enticing to rodents who love to use car wiring, insulation and seat cushions in their nests. Every couple of months it is important to dust the surfaces and vacuum the floors and the seats. Use a UVprotectant cleaner on the solid surfaces to prevent cracking and fading. Deep clean upholstered cloth seats with a shampooer, and apply a fabric protectant to make stains easier to remove. Leather seats need to have a leather cleaner and conditioner applied regularly to keep them clean and to prevent them from drying out and cracking. The same products will help to keep the steering wheel clean and protected as well. Many experts recommend weekly baths for every vehicle. Not everyone has the ability to do this at home or the time and money to go to a car wash. It is a good idea to at least rinse every vehicle down once every couple of weeks and give them a good scrubbing about once a month. This can be especially important in winter months when an excessive amount of road salt is in use. The two things that have the greatest impact on the value of a car in the northern regions are miles and rust! It is also important to add an extra trip to the car wash in certain circumstances. For example, wash your car after driving over a newly tarred road or exposing your car to road salt. Remember to wax the vehicle every few months for additional protection. The resale or donation value of a vehicle should matter to every car owner. It is easier to use as collateral when it is maintained, and it will receive more as a trade-in when the time comes. If you already have a well-maintained vehicle that you feel still has some usable life in it, please consider donating it to our innovative educational program at the Newgate School. The Little-Old-Lady Car: Is It Really the Deal of a Lifetime? An amazing vehicle tucked away and forgotten in a retiree's garage is a dream of many used-car buyers. The idea of something purchased new, rarely driven and then stored for a decade or two may seem like an ideal find, but there are some very good reasons this type of car may not be as great a deal as it seems. Here are some points to consider before making a purchase. It is important to know why the vehicle was kept in storage. There are some very valid reasons. It was a keepsake kept in memory of a deceased loved one. The owner was unable to drive due to health concerns. Both of these examples are reasonable answers, but another common reason is cause for alarm. Some vehicles may have repeatedly experienced mechanical issues, and the owner no longer wanted to pay for its repairs and maintenance. Parking it may have been the only solution they had at the time because it was not fit to sell or drive. Vehicles are not always safe just because they are kept in a garage. Water damage from floods, burst pipes or a leaky roof could have made the vehicle unusable. Rodent infestation is another concern. Not only is there the mess of clearing out their nests but also the very real concern of the damage rodents cause when they chew on wiring. Sitting in one spot without any use can cause a great deal of damage to any vehicle. The tires could have flat spots and dry rot. Any rubber on a vehicle is at risk of drying out and cracking over time. The list includes door and window seals, hoses and belts and even the rubber bushings on the suspension system that may all need to be replaced. Cars and trucks exposed to constantly changing temperature extremes and high humidity levels without regular cleaning and maintenance could develop mold and mildew issues. Deep cleaning the carpeting and upholstery may not be enough to prevent the problem from reoccurring. If not removed, it could be a potential health risk to anyone riding in the vehicle. It is unusual for a stored vehicle to receive any maintenance. The engine oil, brake fluid and other fluids will usually need to be replaced and the systems flushed before the vehicle is driven. Regular lubrication and the replacement of parts as they begin to corrode may have been neglected. Once the vehicle is in use, these parts could start to break or cause problems. Even if the vehicle has only been stored for a year or less, there are still some issues to remember. The gasoline could have separated or caused corrosion in the tank or fuel lines. The battery will usually have lost its charge and could be heavily corroded too. If the vehicle was not clean and dry at the time it was stored away, there could be damage to the paint. Finding an old vehicle with low mileage or inheriting one may seem like a dream come true, but it is not uncommon for these cars and trucks to become endless repair projects. 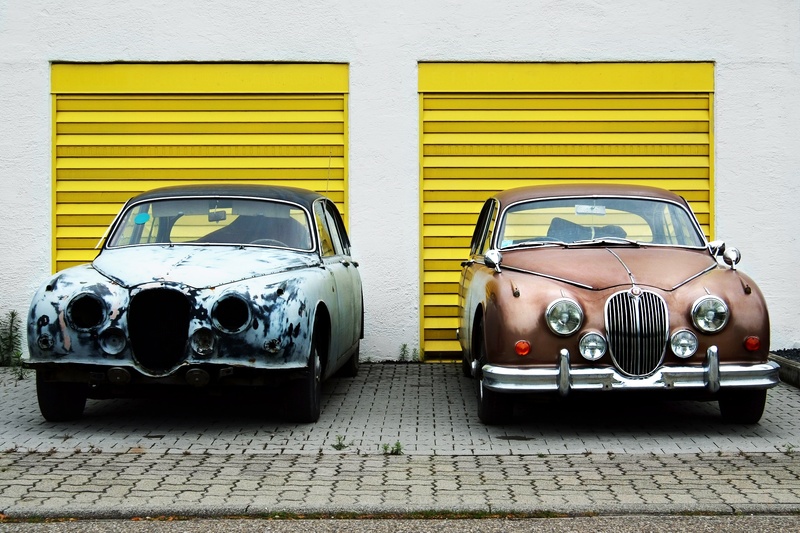 Choosing to donate the vehicle is a better option than leaving it stored away to continue rusting. There are charities that accept vehicle donations, and the donor benefits through a tax deduction. Newgate School is a non-profit that goes even further than most charitable organizations by using the donated vehicles to train disadvantaged young adults seeking careers in the automobile service trades. Call us for more information. If you've heard ads on the radio, TV or internet extolling the virtues of car donation, you may be wondering if that move is right for you. Should you donate your car? Is that the best decision in your situation? Here are six signs car donation may be right for you. All cars need repairs and upkeep once in a while, but as your car gets older, it can get to the point where you're throwing more money into the car than it's actually worth. If you're in that boat, it may be time to just cut the cord and get rid of your vehicle through sale or donation. Selling used cars can take up a lot of your time. You have to put up an ad, field calls and emails and haggle with potential buyers. In contrast, donating your car is quick and painless. You simply bring your vehicle to a charity that accepts cars—some charities will even pick up your car. Then, you sign a couple of documents and the process is over. Consider donating your car if you want to get rid of it fast. Truth be told, trading in your vehicle can be almost as easy as donating it. However, in most cases the trade-in value is far less than the actual value of the car. Who profits from the difference? The car dealer. If you don't like the sound of that arrangement, you may want to let a charity benefit from the value of your vehicle instead. When you donate a vehicle, you don't just save yourself time and hassle. You actually get the joy of contributing something useful to your community. For example, at the Newgate School, we use donated cars to train low-income adults to be mechanics. Car donations allow us to provide free education and useful vocational skills to people who really need it. We also have a program where we give recently fixed-up vehicles to single moms in need of transportation. With a simple donation, you could contribute to all of that. Donating a vehicle doesn't just save you time and benefit local charities; it can also help to lower your tax liability. You earn tax deductions when you make donations. The specifics can be a bit complicated, but in general, you get to subtract the value of the vehicle as an itemized deduction. That deduction reduces your taxable income and decreases the amount of income tax you owe to the IRS. Additionally, if you donate your car to an educational institution where it will be used to train students, you will be able to use the private party fair market value as the tax deduction—the most favorable value available. The final piece of car donation is finding the right charity. Oftentimes, you just really want to support your local community and you want to take an active role in supporting a charity’s cause. If you find a charity that you believe in, then the answer is clear: it's time to donate. Contact the Newgate School for more information on how your donation could benefit the lives of others in the community. You probably realize that motor oil is essential for any vehicle. Oil is what lubricates and cools your car's moving engine parts while your vehicle is running. Without it, the engine in your car would lock up, which potentially causing major damage to your engine. Even if your engine doesn't have enough oil in the system or if the oil is too dirty, it could still cause engine problems. Knowing that oil is crucial for your vehicle is one thing, but you should also know how to choose the right motor oil for your car. 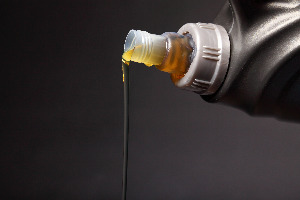 There are two important factors when it comes to choosing motor oil for your car. One of them is something called viscosity, and the other is knowing what type of oil you need. Viscosity is used to measure a liquid's resistance to flow and usually refers to its thickness. For example, water has low viscosity while honey has high viscosity. The molecular structure of a liquid also figures into how viscosity is measured. Because there is friction between the molecules of a fluid, viscosity determines how much energy is required to make a liquid flow. All of this comes into play with motor oil. Something else that plays a huge role in how well motor oil flows through the engine is temperature. When it comes to the viscosity of motor oil, most people think the W stands for "Weight," but it actually stands for "Winter." The number before the W refers to how well oil flows at 0 degrees F. The lower the number, the less chance it has of getting too thick in colder temperatures. The number after the W refers to how oil flows at 212 degrees F. The higher the number, the less chance it has of becoming too thin in warmer temperatures. How do you know which viscosity to use for your car? One way to know is to look at the owner's manual for your vehicle. However, if you live in areas where the winters are freezing cold but the summers are very hot, you may want to switch your oil from season to season accordingly. What Are the Different Types of Oil? Besides knowing which viscosity of motor oil to use, you'll also need to know what type of oil your car needs. Conventional: Most people use this type of oil for their vehicles, and it is usually recommended for engines with a basic design. Synthetic: Chemically engineered, this type of motor oil contains fewer impurities and more additives. It is often recommended in climates with extreme changes in temperature. Synthetic blend: A blend of conventional and synthetic oil that works well in lower temperatures, this type of oil is better able to resist oxidation. High Mileage: This oil is designed specifically for vehicles that have over 75,000 miles on the engine. 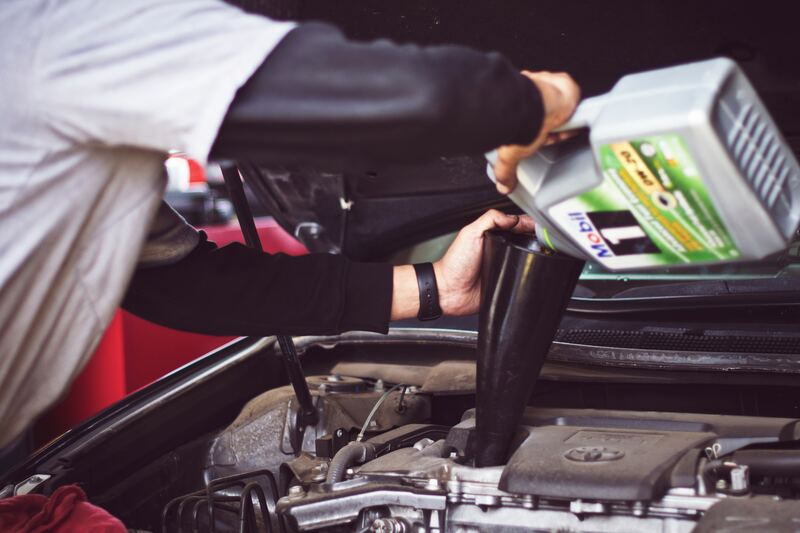 It's also important to note that while conventional motor oil is fairly common, some car companies, such as BMW, recommend that only synthetic oil is used. When Should the Oil Be Changed? In the past, mechanics have recommended changing the oil every 3,000 miles. However, in recent years, it has been proven that some vehicles can go 7,500 before an oil change. If, however, you drive in what are considered "severe conditions," such as driving in stop-and-go traffic in hot weather, you may want to continue changing it every 3,000 miles. To learn more about proper car maintenance, take a moment to look through our other blog posts. If you are thinking about getting a different vehicle, consider donating your old one to Newgate School. Which Type of Brake Pads Is Best for Your Needs? Brake pads provide the muscle you need to stop your car, so their composition is important. Brake pads are composed of several different substances but can be put into a few major groups. Below is more information about the various brake pad groupings and some of the advantages and drawbacks of each type. A common type of brake pad in use with passenger vehicles, semi-metallic brake pads are composed of metals and a special binding agent. Some of the metals used in semi-metallic brake pads include steel, copper, and iron, though brake manufacturers may add more exotic metals for special applications such as racing. Semi-metallic brake pads also contain their own special sub-classification, low-metallic brake pads, which are a hybrid of semi-metallic and organic brake pads and have characteristics of both major groups. Semi-metallic brake pads do have a few drawbacks, most notably their tendency to make squealing or grinding noises under certain circumstances. In addition, semi-metallic brake pads tend to generate more wear on rotors, which may necessitate more frequent rotor replacement. Organic brake pads are another major group of brake pads. Organic brake pads originally consisted of asbestos bound with other fibers and resins, but knowledge of the dangers of asbestos have nearly eliminated its use in automotive products, including brake pads. Organic brake pads aren't perfect for every application, as they do have a few disadvantages, including a less certain feel to braking action. In addition, organic brake pads tend to wear out much faster than other pad types and are more sensitive to overheating. Ceramic brake pads make up the third major group of brake pad types. As their name indicates, ceramic brake pads are composed primarily of ceramic materials, but the pads also have metallic fibers interspersed throughout. Since ceramic brake pads are a fairly new technology and also require more attention during manufacturing, one of their chief disadvantages is cost. Ceramic pads are the most expensive brake pads to make and sell, though the longer lifespans do help offset the upfront costs. If you have questions about brake pads and what type might be best for your vehicle, then it is important to talk with automotive repair professionals for assistance. They can make recommendations on brake pad types as well as perform replacements that will match your driving needs and available budget. When you donate a vehicle to charity, you can receive a tax deduction on your income tax return. Wondering how that works? Here's an overview of what you need to know. The Internal Revenue Service allows you to claim a deduction on your tax return for charitable donations. Essentially, the value of the donation lowers your taxable income. As a result, you owe less tax. To put it simply, let's say you have $60,000 of taxable income and you make a donation of $5,000. That $5,000 lowers your taxed income to $55,000. A 501(c) (3) organization is the most common non-profit organization. The majority of them are operated in support of religious, educational, literary, and scientific purposes. The advantage of donating a vehicle to a 501 (c) (3) organization is that you may use fair market value for your tax deduction, if the donation is used to support the charity's mission. For example, donating a car to a school will qualify for a fair market value deduction when the car is used for training purposes and is substantially improved in the process. When you donate a vehicle, the amount of your deduction can vary based on the selling price of the vehicle. As of 2017, if your donated vehicle sells for less than $500, you can claim the fair market value of the vehicle up to $500. To illustrate, imagine the fair market value of your vehicle is $1,000. The vehicle sells for $399. In this case, you can claim $500. On the other hand, if your vehicle sells for $399 but the fair market value is only $300, you can claim only $300. If the charity sells your vehicle for more than $500, you can claim the sale price as a tax deduction. For instance, let's say your vehicle sells for $3,000. That is your tax deduction, regardless of the actual value of the vehicle. To claim a tax deduction, you need to donate the vehicle to a registered 501 (c) (3) non-profit organization. If you give the vehicle to a relative, a friend trying to start a business, or to a local organization that is not registered as a nonprofit yet, it is considered a gift and does not meet the tax deductible guidelines . Once you donate your vehicle, you should receive a receipt (form 1098-c) so you are able to claim the deduction on your tax return. Most organizations mail this receipt to you within 30 days after they sell the vehicle, but some organizations can give you a receipt when you drop off your vehicle. You also need to provide your title -and lien release if necessary - to complete the process. To claim a deduction for a donation on your federal tax return, you need to itemize your deductions. This means that you take several deductions such as the home mortgage deduction and others rather than just taking the standard deduction. Generally, only homeowners fall into this category. Unfortunately, if you claim only the standard deduction, you can't claim charitable donations on your federal tax return. Luckily, Minnesota lets you claim a special deduction on your state taxes if you don't itemize and can't claim the donations on your federal taxes. You can claim half of your donation over $500. Finally, if you get a benefit in exchange for your donation, you will have to subtract the value of that gift from your donation. Imagine you donate to a charity and receive a free radio for your donation. In this case, you will have to subtract the value of the radio from your donation. This is also true if you donate a vehicle and receive a "thank you" gift. If you're interested in donating your vehicle and receiving a tax benefit, contact Newgate School today. Because we are a registered charity that has been accepting car donations for years, and we make the paperwork easy and the process simple for you. Best of all, when you donate a vehicle to Newgate, you help support our tuition-free mechanic training program and our mission to help low-income adults become self-sufficient. Your car relies on a variety of fluids to keep the engine cool, powered, and well-lubricated. Sometimes, you find these fluids in a puddle underneath your car instead. 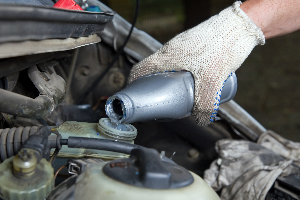 Certain fluid leaks require immediate attention and repair, while others aren't as serious. • Gasoline. If your vehicle's leak smells like a gas station, the liquid is probably gasoline. A puddle near the back bumper may indicate a faulty tank, while a leak near the front bumper could be due to fuel pump damage. • Power steering fluid. Power steering fluid leaks may look reddish. If you have one of these leaks, you may also notice that it's harder to take sharp turns in your vehicle. While an active drip or standing puddle can clue you in to the presence of a leak, not all leaks are immediately visible. If you suspect a leak, but haven't seen the problem in action, first check your fluid reservoirs. Slow or small leaks may affect your fluid levels over a long period of time, so it's important to know what fluid consumption is normal for your vehicle. If your dashboard lights recommend fluid changes too often, this issue may also indicate the presence of a leak. If you can't explain why your car loses fluids so quickly, visit a mechanic. You may have an engine inefficiency or other mechanical problem rather than a fluid leak. Certain fluid leaks are considered normal. For example, water condensation often drips from underneath cars that use their air conditioning in warm weather. In most cases, leaks that do not cause sudden and dangerously significant drops in fluid levels or large puddles aren't serious. Coolant. A shortage of coolant will affect your engine's ability to perform in a safe operating temperature range. Look at your instrument panel to determine if your vehicle is running at an abnormal temperature. An overheated engine will soon fail and the repair is extremely expensive. Engine oil. A shortage of engine oil will result in internal engine components not receiving sufficient lubrication and the engine will overheat and eventually fail - an extremely expensive repair. Always refer to your owner's manual to determine appropriate fluids and your car's maintenance schedule. Timely care and attention to your vehicle's operating symptoms can save you a lot of money and allow you to avoid downtime. If your car springs a leak and you decide to trade up, consider donating your current car to Newgate School. We use vehicles in varying conditions to teach our students the basics of car mechanics. Spark plugs are inside every gasoline car engine, but most vehicle owners know little about these small but vital engine parts. Knowing more about their operation, maintenance and replacement is one key to making sure your engine runs well. Below is more information about spark plugs, how you can check them for proper adjustment and functioning, and how to know when it is time to replace them. The basic operation of an internal combustion engine, which describes your car's gasoline motor, is not particularly complex. The motor first mixes gasoline and air in small quantities and then ignites the mixture inside a cylinder with an electrical spark. As the hot gases from the explosion expand, they push a piston, which in turn is linked to a shaft that transfers power to the transmission and ultimately the wheels. This process occurs thousands of times per minute, but for it all to work, the source of the sparks, the spark plugs, must fire consistently. Spark plugs are constructed of an insulating material and a metallic conductor. At the top end of the plug, the tips connect to the spark-plug wires and send an electrical current down the interior of the plug to the electrodes. There are two electrodes separated by a small gap; as the current approaches the end of one electrode, it effectively "jumps" across the gap to the opposite electrode and creates a visible spark. One of the key factors that makes a spark plug work well, or not, is the size of the gap between the electrodes. If the gap is too small, the spark will likely be too weak and cause the engine to run poorly or with poor efficiency. However, if the spark plug gap is too large, the spark is unlikely to consistently "jump" across the long distance between electrodes, thus leading to a rough-running engine or one that doesn't run at all. Fortunately, spark-plug gaps can be easily adjusted by mechanics, including many amateur do-ityourselfers. A spark-plug gap gauge both measures and adjusts the gap and is inexpensive and simple to use. There are different types of gap gauges, but they all basically function the same way; simply locate the recommended gap for the spark plugs in your vehicle and then insert the gauge edge into the gap and measure the distance between the electrodes. Should the gap be too narrow, the mechanic will gently pry the gap apart with the gauge. On the other hand, should the gap be too wide, it can be narrowed by the mechanic's squeezing the electrodes closer together with a tool or pushing the bottom electrode down onto a tabletop. If your car is experiencing problems that lead you to believe your car's spark plugs need replacing, then contact a qualified automotive technician for assistance. They can perform spark-plug replacements and offer sound guidance about other plug-related issues. If you find that the issue isn't with the spark plugs, and you end up deciding to get a new car, consider donating your old car to Newgate School, which teaches disadvantaged young adults auto mechanics skills. Every car owner knows regular oil changes are an expected part of vehicle ownership, and most are also aware of other necessary tasks that need to be done, including tire, brake, and battery replacement. However, there are several other important maintenance tasks besides these. Many of these other tasks are just as critical as oil changes. While each specific make and model has its own maintenance schedule, many of the following tasks are common across all vehicles. Below are three maintenance items you should be aware of and address as needed to protect your substantial investment. Just like any device that burns a fuel to produce energy, your car depends on oxygen to complete the combustion cycle. However, the air coming from the road is often full of dust and debris and can cause damage to the internal parts of your engine if it enters in this state. Your car contains an air filter that removes the contaminants that could harm your vehicle; this filter is a simple component that is usually made of paper and is placed in its own special compartment between the intake and motor. Over time, this filter becomes clogged as the engine continues to draw air from the outside. If you ignore a clogged filter, the lack of adequate airflow will cause your engine to run poorly and cost you extra money at the gas pump. Should you continue to ignore your air filter, it will eventually disintegrate and admit harmful debris into the engine directly. As with all maintenance tasks, it is important to check your owner's manual to see when replacement is warranted. However, most air filters should be visually examined for signs of excessive debris at every oil change; if it looks dirty, then it probably needs to be tossed and a new one installed. They aren't expensive, and it is well worth the low cost to replace a clogged filter. The coolant in your car serves a critical role by preventing your engine from overheating. The liquid, which consists of a mixture of water and special chemicals, absorbs heat from the motor and releases the heat when it enters the radiator. If anything disrupts this cycle, heat levels will build beyond an acceptable limit and cause significant engine damage. Engine coolant needs replacement on a regular basis; newer vehicles may not need fresh coolant more often than every 100,000 miles, but this can vary depending on the make and model. If you fail to replace the coolant as necessary, then it will eventually stop readily absorbing heat and could allow engine temperatures to rise to dangerous levels. In addition, coolant also accumulates more particles as time passes; these particles consist of minute bits and pieces of metal as well as other small debris. While these particles may be largely harmless, there is a possibility they can clog internal lines and block areas of the motor off from the coolant. Obviously, this could be destructive to your engine, so be sure to follow whatever written guidelines are in place for your specific vehicle and replace the coolant as specified. When a car engine runs, a lot of internal moving parts must move exactly in sync for the engine to function. For example, multiple valves allow fuel to enter the motor while other valves permit exhaust to leave. The timing belt is connected to each of these parts and keeps everything moving in rhythm. It is important to know that not all vehicles contain timing belts; some use what is known as a timing chain, but the function is the same. Unfortunately, timing belts are made of rubber and will eventually wear out and break. Should this occur, there is a high likelihood that unsynchronized parts inside the engine will collide and create catastrophic damage. In fact, the damage can be so substantial that engine replacement is often the only remedy. It goes without saying that timing belt replacement is critical and should not be ignored. Each vehicle has its own schedule for timing belt replacement, but generally, it's performed once every 100,000 miles. Your vehicle's owner's manual should tell you when replacement is necessary. Also, keep in mind that timing belt replacement is usually quite extensive and will necessitate a mechanic's assistance, so be sure to consult a reliable automotive specialist for help. Commercial Car Wash Vs. Self Car Wash: Which Should You Choose? Every month or so, it's time to give your car a good wash. But the question arises: should you wash your car at home or in a commercial car wash? Commercial car washes and self car washes each offer different advantages and drawbacks. Here are several factors to consider. Washing your car yourself has some drawbacks. Your hose simply doesn't generate enough water pressure to remove tough dirt. Also, the towels, rags, and sponges you use can spread particles that scratch your car's paint. But are commercial car washes actually more effective than self car washes? Commercial car washes offer many thorough washing options, from in-bay automatic machines to tunnel wash systems. One drawback is the water spots sometimes left behind by commercial air dryers. 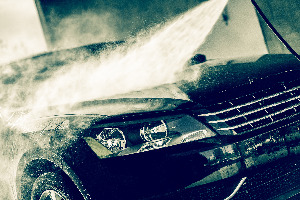 Commercial car washes are typically stronger and more comprehensive than self car washes. However, washing your car by hand lets you address all the little details that a quick commercial car wash might ignore. In the past, many people thought commercial car washes harmed their cars. They feared that the harsh brushing could damage a car's finish. Fortunately, modern improvements to commercial car wash equipment reduce the likelihood of car damage. Many car washes use softer brushes and devices that spray water rather than directly touching the car. Washing your car yourself can lead to damage. Some people make the mistake of using dishwashing detergent, which can leave residue and remove wax. Plus, if you wash your car in direct sunlight, you can burn spots in the paint. You're probably less likely to harm your car if you use a commercial car wash, as long as you choose a car wash without rough brushes. When you wash your car yourself, the water runs down your driveway and into your storm drain. Metals and sediment from your car travel through this water, polluting the water and endangering wildlife. On the other hand, commercial car washes trap these contaminants in a drain. The contaminants are then removed by a water treatment system. Thus, commercial car washes are safer for the environment than self car washes. Basic commercial car washes cost between $5 and $30. The price increases based on other services, including vacuuming, waxing, and detailing. More expensive companies are mobile car wash services that bring their equipment to your home. While commercial car wash costs usually aren't astronomical, they can add up over time. Washing your car on your own is very affordable. You do need to pay for the equipment, such as the soap, sponges, and microfiber cloth. Your water bill may increase slightly, depending on how much water you use to rinse your car. However, in the long run, self car washes are still cheaper than commercial car washes. A commercial car wash takes about 10 minutes, while a self car wash can take up to an hour. No matter which automatic wash you choose, it's sure to save you time and hassle. When all the factors are weighed, commercial car washes are generally your better option. However, they can be costly and they lack a certain personal touch. It's probably a good idea to rotate between commercial washing and hand washing. If you want an option that's a cross between the two, a self-serve car wash is a good bet. You park your car in a station, where you can pay for soap and a water rinse. You may even be able to choose options like car vacuums and wax. You then do the washing work yourself. Make sure to wash your car about once a month to keep it clean and attractive. If it's time to trade in your car, donate it to Newgate School. Your car provides our responsible students with hands-on automotive training. Your windshield is one of the most important safety devices in your car. Not only does it shield you from the wind, but it protects you from flying debris. It also keeps you inside the car during a car accident, protecting you from injury. However, your windshield requires some work on your part. Follow this timeline to keep it in top condition. Spray half your windshield's exterior with glass cleaner. Wipe it with a microfiber rag in a straight, up-and-down motion. Wipe the same half again in a straight, right-to-left motion. Repeat on the other side of your windshield. With a new microfiber rag, move your hand in a circular motion until you've buffed the entire windshield. Now it's time to clean the windshield interior. Put some towels on the dashboard to shield it from the spray. Spray a few squirts of windshield cleaner on a scrub pad, and a few squirts on the windshield itself. Wipe one half of the interior windshield in a straight, up-and-down motion. Repeat for the other half of the windshield. Wipe off any remaining glass cleaner with a dry microfiber rag. This process ensures that you cover every inch of the windshield without leaving streaks behind. If your windshield needs a touchup, use the provided squeegee at the gas station each time you gas up. Your windshield wiper fluid cleans dirt and bugs from your windshield as you drive. However, you don't want to run out of it when you need it most-so make sure the windshield wiper fluid level remains high. Check your windshield wiper fluid level at least every few months. You should also check it during times when you use it more often, such as periods of rainy weather. You can find the fluid reservoir by looking under your hood for a symbol that looks like windshield wipers. The reservoir should have a line indicating how high to fill it. Add more fluid by unscrewing the cap and placing a funnel over the reservoir's opening. Pour windshield wiper fluid through the funnel until the fluid level reaches the fill line. Finally, replace the cap. 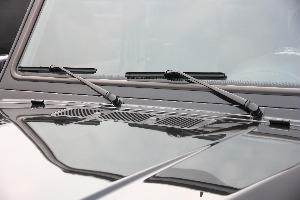 If your wiper blades leave streaks on your windshield or if they make loud noises, it's time to replace them. An auto mechanic can install fresh wiper blades. A chip or crack in your windshield isn't just unsightly. It can compromise the integrity of your windshield glass, putting your safety at risk. You may be able to fix tiny chips with an at-home repair kit. But to ensure the highest quality repairs, your best bet is to take it to an auto repair shop. Many car insurance plans cover crack or chip repair and replacement. Auto repair shops can typically repair chips that are an inch or smaller in diameter or cracks that are three inches long or less. For larger, more complex chips and cracks, you may need to get your windshield replaced. This also applies if the chip or crack is near the end of the windshield, where it could compromise the windshield's integrity. An auto mechanic can evaluate your windshield and determine whether repair or replacement is required. You can't afford to neglect your windshield, so follow this timeline to keep it clean and intact. Keep reading our blog for more car care advice. If you'd like to donate your old car, contact us today. But as the New Year approaches, you're thinking of finally achieving your goal to buy a new vehicle. One of your most important decisions is which year of vehicle to purchase, especially if you’re leaning towards a used car instead of a new one. If you don't get a new car, how old of a car should you buy? Here are some benefits and drawbacks of buying a car from different time periods. You may be able to find a reliable car from the 1990s, but buying a car from this time period has some risks. The car may be nearing the end of its life cycle, so you may end up with the same problems you incurred with your old vehicle. Depending on its mileage and how it's been treated over the years are critical to determining how it will last into the future. If you find a car that's been driven hundreds of thousands of miles with little maintenance, you may end up spending as much on repairs as the vehicles cost. Plus, keep in mind that it can be difficult to find replacement parts for cars from the 1990s. These cars' repairs are most likely no longer covered by a warranty either. Also, a 1990s car might not have all the safety features you're looking for. After all, side airbags and anti-lock brakes didn't become common until the late 1990s. Dual airbags weren't federally mandated until 1998. In conclusion, if you are purchasing a car from the 1990's you are taking some risks that are inherent to vehicles of that age. There are many cars out there that have had exceptional care, and have reasonable miles. Find one of these! It is best to test drive the car and listen for suspicious noises, abnormal tire wear, and weak suspensions. These are signals that you may have to invest in future repairs. If you plan to buy a car from the 2000s, make sure it has been cared for over the years. It is a good idea to look online to learn about known problems for certain models. Regular maintenance is probably the most important indicator of the car's longevity—perhaps even more important than age or mileage. Thus, make sure you get an inspection on the car before you buy it. Especially important in the northern states is to inspect the bottom side of the car for rust. Safety items such as brake lines run underneath the car and are susceptible to failure from exposure to salt found on roadways. There are plenty of cars from the 2000s that are still in great shape. You just need to do your homework to make sure you're getting a solid deal. Many people consider this the "sweet spot" of car buying. Various auto experts recommend that you buy a car that's two or three years old. Many believe that this range of used cars, two- and three-year-old cars are the most reliable. Cars lose most of their value during their first three years on the road. That means that a two- or three-year-old car provides the best return per dollar spent. Thus, you can afford a better make and model that offers more features than you would if you bought a new car. A consideration many car buyers overlook is that used cars are less expensive to insure. The major benefit to buying a new car is that it should last for many years. You will be in control of the maintenance history from day one, therefore will have a huge impact on the car's life span. Car experts say that today's cars can easily drive 100,000 miles without major problems. Another benefit of new cars is that you can choose the latest features, such as heated and ventilated seats, panoramic sunroofs, and voice activation. You'll likely pay much more for a new car than you would for a car that's just a year or two old. Along with the cost of your car payments, don't forget about taxes and fees, registration, and gas and maintenance costs. So, if you are looking for a new vehicle, consider making your purchase when new models are arriving at the dealerships. Year-end closeout pricing, coupled with low financing and warranty can make a new vehicle the right choice for you. 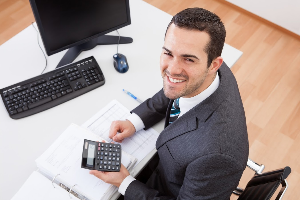 In summary, your budget will determine your personal preferences. If you are opting for a good used car, make sure you get it inspected before you buy. If you wish to avoid the hassle of trading or selling your old vehicle, consider donating it to Newgate School where it can be refurbished and put back on the road. What Are Safety and Emission Inspections and Do I Need One in Minnesota? You may have heard the term "safety and emission check," but you're not sure exactly what it entails. Safety inspections are a way to ensure that all the vehicles on the road are safe and not likely to cause harm. Similarly, emission inspections make sure vehicles aren't emitting chemicals that harm the air. Many U.S. states require safety and/or emission inspections every year or every other year. A mechanic shop must be certified to perform state inspections. Here's how they work. If the mechanic notices any major problems with a part, he or she will ask you to get that part repaired or replaced. This is important for protecting both you and other drivers. For example, if your brake pads are worn down, it might take you longer to brake. This could cause you to get in an accident, which would harm both you and other drivers. Thus, you'll need to replace your brake pads as soon as possible. Once you pass the safety inspection, the mechanic will give you a sticker to place on your car's window. This shows law enforcement officers that your car is safe to drive. Certain states require regular emission inspections to protect the air and the environment. If your state requires you to get an emission inspection, you must visit a mechanic certified to perform emission inspections. Mechanics test your car's exhaust system for unhealthy levels of carbon monoxide, oxygen, carbon dioxide, hydrocarbons, and nitrogen oxides. You'll need to have a mechanic fix these problems to lower your car's harmful emissions. Do I Need a Safety and Emissions Inspection in Minnesota? Minnesota does not currently require regular safety checks for personal vehicles. You do need to get regular safety checks if you have a commercial vehicle. This is classified as a vehicle that carries 16 or more people, transports hazardous materials, or weighs over 26,000 pounds. If you don't need a regular safety inspection to register your vehicle, you should still make sure your car is performing at its best. If you haven't had your car checked in a few years, bring it in to a mechanic for a thorough inspection. Minnesota required emissions inspections from 1991 to 1999 because the Twin Cities did not meet federal air quality standards. But in 1999, Minnesota's air status was reclassified. Emission testing is not currently required in Minnesota. Even though you don't need to get regular emissions inspections, you can still do your part to cut down on emissions. For example, you could ride public transportation or carpool instead of driving every day. You should also have a mechanic check that your car's engine, electrical systems, and fuel and air filters are performing properly. New cars have better safety and air quality than older cars. Replacing your aging car with a new one can help protect you, other drivers, and the air. If you're ready to turn in your old car, consider donating it to Newgate School. Think back to your last bad day at work. Perhaps you slept through your alarm. You rushed to get ready, hopped into your car, and then hit bumper-to-bumper traffic. When you finally arrived at work, your boss was furious at your tardiness. Your clients left multiple voicemails and emails for you to return immediately. You were putting out figurative fires all day long, then you drove home. Now, imagine you didn't have a car. Imagine that the only house you could afford to rent is so far from work that public transportation involves a two-hour round-trip commute. Your income, which is low, prevents you from being able to purchase your own automobile. Lastly, imagine that you have children who you want to be able to drop off and pick up from school. With these transportation barriers, you may find it difficult to get yourself to work on time, handle your daily tasks, and still accomplish everything by the end of the day. Your employment opportunities may even be limited to the neighborhood where you live. How can you break out of this cycle? Below, we discuss how transportation assistance programs provide a solution. This alternative, bad day scenario is a common one for many people in the US. Transportation to and from work fundamentally helps them show up on time, which can allow them to retain consistent employment and pay their bills. Without reliable transportation, low-income people risk losing their jobs and limiting their earning potential. It's a major obstacle to financial stability. Transportation assistance programs offer a great solution. These nonprofit, government-funded, or charitable organizations offer low-cost or free vehicles to people experiencing financial hardship. In some cases, they also provide free repairs for a specific period of time. To benefit from transportation assistance programs, applicants have to meet certain income standards. They also need to find a nonprofit organization, government agency, or charity whose mission is to help them. For example, some transportation assistance programs focus on giving restored cars exclusively to military veterans. Other programs offer transportation assistance to victims of natural disasters or domestic violence. Some programs only help the elderly, the medically needy, or the homeless. However, the vast majority of transportation assistance programs are geared toward helping the working poor. With a free or affordable vehicle, low-income workers not only get transportation to and from work but they also have the ability to travel farther from home, opening up their overall employment opportunities. Over time, these efforts can break the cycle of poverty in rural and inner-city areas where public transportation is limited or nonexistent. Transportation assistance programs rely on car donations. When you donate your car, these organizations fix them up and then give them to qualified individuals two to three times a month. If you're interested in combating poverty in your area, donate an older vehicle to a local transportation assistance program. In addition to giving a low-income family much-needed transportation, you will also receive a sizeable tax deduction for this donation. The Newgate School runs Wheels for Women, a transportation assistance program for single mothers in Anoka, Carver, Dakota, Hennepin, Ramsey, Scott and Washington counties. We select low-maintenance models from the vehicle donations we receive; use them to train low-income young adults in auto mechanics; and provide them to single, working mothers as a means of reliable transportation. Our program has helped countless moms get to work, keep their jobs, and bring their kids to school. If you're interested in donating your car to us, contact us today at contact@newgateschool.org. Which Type of Gas Does Your Car Need? You've probably heard that most cars run with regular gas. But when you pull up to the pump at your local gas station you see several different grades of gas and even different types of fuel. You might wonder why these different types and grades exist. Using the right fuel type and grade is important because using the wrong fuel could potentially harm your car's engine. Most cars run on gasoline, a refined petroleum distillate. Gasoline makes up the majority of options at your local gas station. However, there are other types of fuel as well. Diesel is a different type of fuel obtained from crude oil. Some gas stations offer biodiesel, which comes from vegetable oil. Diesel is more expensive than gasoline, but it allows you to drive longer distances. It only works on vehicles designed to run on diesel fuel. If you use gasoline in a diesel engine damage will likely occur as gasoline does not ignite properly and burns too quickly resulting in very low power output of the diesel engine. Today, many vehicles are built to run on alternative fuels. E85 is the most popular and is a blend of 15% gasoline and 85% ethanol. It is less expensive than gasoline but leads to lower miles per gallon. There should be a decal or label on your car identifying that it is E85 compatible (also known as flex fuel). Other alternative fuels include liquefied petroleum gas, compressed natural gas, and liquid nitrogen. However, most vehicles are not built to accept these fuels. Electric cars are gaining popularity. They run on electricity rather than gas. Before these cars can drive, the operator needs to be sure the battery is sufficiently charged. Some hybrid models use both a gasoline engine and an electric engine to power the vehicle. The combination is set up to allow the car to run as efficiently as possible. Now that you understand the different fuel sources, let's explore the different fuel grades. But first you need to understand why these different grades exist. As you look at the different gas grades at the gas station, you'll notice that each grade has a number. This number is the octane rating, which measures how resistant the gasoline is to pre-ignition. When your gas ignites prematurely, you'll hear a rattling or knocking sound. This usually means you have used a lower octane rated gasoline than is recommended for your car. The higher the octane rating, the more resistant the gas is to pre-ignition. Most cars are designed to combat the effects of pre-ignition. Most cars' engines are built to withstand pre-ignition. Thus, regular gas is a perfectly acceptable choice. Some luxury and high performance cars are equipped with higher compression engines, which are more likely to experience pre-ignition. These cars likely require a premium grade of gas. It is important that you read your owners' manual to confirm the octane rating required for your car. You should follow the factory recommendation, especially during the warranty period. Choosing the wrong fuel type or grade can be a waste of money and could damage your car's engine. Manufacturers have spent significant testing time to determine the best fuel rating for your vehicle. The best bet for any car is to follow the manufacturer's recommendation when choosing the correct fuel for your car. 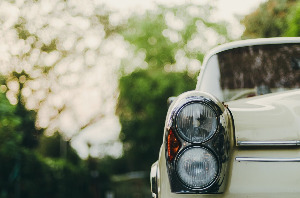 Read through the rest of our blogs to learn more about car maintenance, or, if your old car is on its way out, consider donating it to Newgate School. Are Manual Cars on Their Way Out? You love the power and control of driving a stick shift car. But you wonder if you're the only one. All around you, people are trading in their manual cars for automatics. Are manual cars disappearing? Yes and no. Let's look at some reasons why manual car sales have declined, and let's also explore some reasons why manual cars may stick around longer than we think. If you suspect that sales of manual cars have declined over the years, you would be right. In 1980, 35% of cars manufactured in North America were manual. In 2014, just 10% were. Improvements to automatic cars. In the past, manual cars often enjoyed better fuel efficiency, control, and performance. Today, updates to automatic cars have helped them meet and sometimes even surpass manual cars in these categories. Manual vs Automatic transmission cars. For standard vehicles, the manual transmission models have historically been less expensive than automatics. People who have to operate their cars in city traffic prefer automatic transmissions because of frequency of stop and go traffic. Drivability of automatic cars. Many teenagers learning to drive for the first time prefer learning with automatic cars. People who don't particularly enjoy driving also enjoy a less stressful driving option. People who prefer manual cars may have family members who don't know how to drive manual cars. Thus, they decide to purchase automatic cars for their family. These reasons have caused manual car sales to decline. But is the manual car gone for good? Despite the strong reasons why automatic car sales have eclipsed sales of manual cars, these vehicles are still around. In fact, there were more stick shift sales in 2012 than there were in the years since 2006. The main reason why manual cars are still in demand is simple: people enjoy driving them. Many people who have driven manual cars their whole driving lives don't want to switch to automatic. They feel that manual cars give them a better sense of control in different driving situations. They find driving manual cars exciting and driving automatic cars uninteresting and dull. They may feel that their manual car has better fuel efficiency and performance than an automatic car does, although this idea isn't necessarily true depending on the vehicle. There are a couple of other perks to choosing manual cars as well. Since fewer and fewer people learn how to drive manual cars, your friends are less likely to borrow your manual car. It may also make people less likely to steal your car, since they may not know how to drive it. Because of these reasons, people continue to purchase manual cars. Many car manufacturers have paid attention to the demand and continue to produce various car models with manual transmissions. Should You Trade In Your Manual Car? With all these reasons in front of you, is it time to give away your manual car and buy an automatic car? If you're holding on to your manual car only because you believe it gives you better fuel economy and performance, you may want to explore other car possibilities. There are many automatic cars available with performance that rivals that of manual cars. Do some research and figure out which car has all the features that meet your needs. If you want to keep your manual car simply because you prefer driving it, there's no reason to give it up. Manual cars are still on the market for similar prices as automatic cars. If you do decide to give away your manual car, donate it to Newgate School. We use donated cars to teach career skills to low-income adults. One of the biggest selling points for new cars is their fuel economy. But even fuel-efficient cars can get fewer miles per gallon (MPG) under specific conditions. So how do you maximize your car's fuel economy? Numerous factors alter how your car uses fuel, making the engine more or less efficient. These factors include how you drive as well as how you maintain your car. In this blog, we list five driving habits and five physical vehicle characteristics that may reduce your MPG. 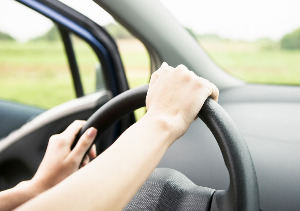 The way you drive can affect your arrival times, physical safety, and gas mileage. The following five habits can have a distinct impact on your MPG. Your engine works at its most efficient after it warms up. When you mainly travel in short trips, your car does not have time to warm up fully and, therefore, uses more fuel overall. During cold weather, your car engine takes even longer to warm up and so spends less time at the desired temperature for fuel efficiency. Reduce the effect that cold weather has on your MPG by following the guidelines in our blog "Way to Winterize: 8 Steps to Prepare Your Car for Cold Weather." Keep in mind, letting your car idle to warm up actually wastes fuel rather than improving gas mileage. Aggressive driving forces your car to switch gears at a faster rate than is optimal for fuel efficiency. EPA testing indicates that frequent, heavy braking and quick acceleration could reduce your fuel economy by as much as 33% during highway driving. When your car is loaded down, your engine has to work harder. This extra weight may come from a cargo or bike rack, heavy interior load, or trailer. It's no secret that a speeding ticket can cost you money, but the act of speeding can also use gas more quickly. When you drive 80 MPH or faster, you create higher air resistance, decreasing your fuel economy. When your engine doesn't run smoothly, your car may use more gas than usual. Physical characteristics such as those below can affect fuel economy. Fuel injectors control how much gas goes into the engine. A leak or other injector problem may reduce the amount of fuel reaching the engine, forcing your car to run less efficiently. Motor oil reduces the friction in your engine and can make up to a 12% difference in your gas mileage. For your best fuel performance, use a synthetic friction-reducing option. When your car's maintenance is neglected, all of the systems run less efficiently, including those directly linked to fuel economy. For example, a clogged air filter can affect engine performance and, by extension, fuel usage. Misfires in your spark plugs can cause problems with overall fuel usage. When the engine doesn't get enough combustion power, your fuel economy is reduced. When your tires begin to wear out or your wheels go out of alignment, they may pull against the motion of the vehicle. This additional strain can reduce your gas mileage. Keep your tires inflated properly, replace worn out tires, and have your alignment checked as needed. Pay attention to your driving habits and the health of your car to optimize the way you use fuel. As the weather changes, your car's functionality may change too. To ensure that your car maintains its fuel efficiency, performance, and safety, you must take steps to winterize the vehicle. Most vehicle owners find that the best time to prepare their vehicles for winter is at the start or at the middle of the fall season, before temperatures drop and stay low for months at a time. In this blog, we list eight important steps in winterizing your car. Your engine relies on oil to run smoothly. When the weather gets cold, oil can thicken and gum up the works. Your car may need a different type of oil in the winter months to maintain optimal performance. Opt for a high-quality, winter-friendly oil to keep your engine running efficiently. At the end of summer or the beginning of fall, make checking your tire pressure a regular part of your maintenance routine. When the weather gets cold, the pressure in your tires can drop, reducing your traction on slick roads. Keep your tires inflated to the manufacturer's recommended pressure to ensure safe driving and precise handling. If you live in an area with heavy snowfall, consider switching out your current set of tires for snow tires. Snow tires are designed to stay flexible in cold weather. This characteristic ensures that snow tires grip the road more effectively. If you don't want to switch over to snow tires, make sure that you have snow chains that are in good condition and that you know how to use them. A cold spell can weaken your battery. If your car battery is three years old or older, take your car in and have the mechanic test the battery strength. If your battery is weak, it could die when the cold weather strikes. Replace the battery to avoid jump-starting in the snow or becoming stranded. In the summer, you may keep water bottles, sunscreen, and a basic emergency in your car. In the winter, you should expand your kit. Include a snow shovel, snow scraper, extra coat, blankets, and tire chains. You may also want to carry extra coolant, antifreeze, and washer fluid. As you expand your kit, take the time to replace any medical or automotive supplies you used up over the summer. Visibility is particularly essential during the winter. Most windshield wiper blades last about a year. Autumn is a great time to replace your wipers each year since it usually represents a lull between spring and summer rain and winter snow. Cold makes materials more brittle and, therefore, more likely to break. When you go in for your oil change, have your belts and hoses looked at by a mechanic. Normal wear and tear can turn into a major problem with the help of low temperatures so it's better to handle replacements before the winter. In addition to your oil change, you'll probably need to switch your fluids over to low-temperature varieties. Check your coolant, antifreeze, and windshield wiper fluid levels in the beginning or middle of fall. Top off each fluid with a version that won't freeze when it gets cold. Use this list to ensure that your daily commute, holiday travels, and routine errands aren't interrupted when the temperature begins to fall. Consult with a mechanic and read over your owner's manual for specific recommendations for your make and model. Your car is essential. It gets you to work, the grocery store, doctor's appointments, and wherever else you need to go. If you have kids, you probably use your car even more often as you drive them to all of their school events and activities. As great as your car is, with all this running around, it can get dirty quickly, especially if you have pets or kids. You may not love sitting on a grease-covered seat multiple times every day. If you need to give your car's fabric-upholstered seats a good cleaning, keep reading. This blog can teach you how to do the job. First, pick a warm, sunny day to wash your seats. That way, the sun will dry the seats for you when you're done cleaning. Next, clean out your car. If you have booster seats, papers, or other objects laying around on the seats, get rid of them so that you can get your work done. 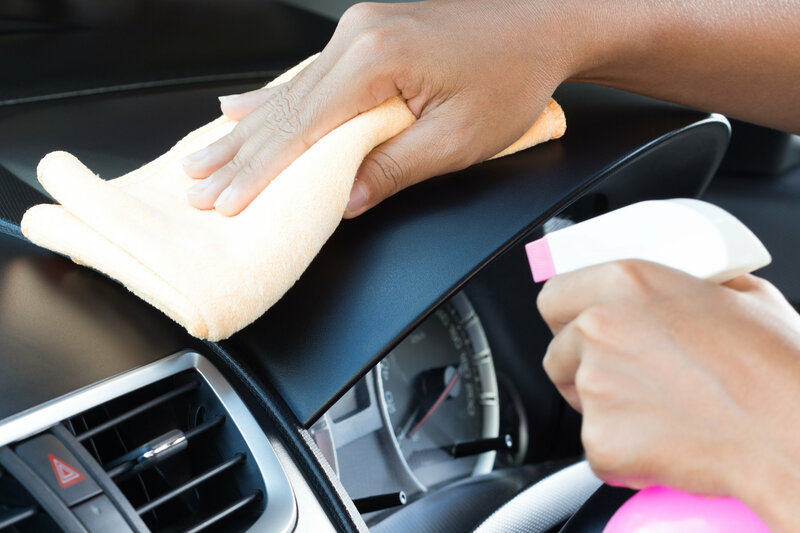 Before washing the seats, you'll need to remove any debris, like hair, crumbs, and lint. A vacuum is the best tool for the job. Use a handheld vacuum or a hose-and-brush attachment on your regular vacuum. Make sure to get into the cracks so that nothing gets left behind. You have several options for what to use to clean the fabric. You can always buy a product specifically made for cleaning fabric, or you can make your own solution. Be warned that while making your own solution is cheaper, it may not be as strong as a store-bought cleaner, though most car seats will not need harsh chemicals anyway. If you want to make your own fabric cleaner, you have several options. Basically, you need to make a soap and water solution. People have had success with dish soap, laundry detergent, and even shaved pieces from a bar of hand soap. Whichever kind of soap you use, mix it with hot water. Use about a tablespoon of soap per cup of water. Put whatever solution you buy or make in a spray bottle. Before you start cleaning, spray a little bit on an inconspicuous piece of upholstery so you can see if it will discolor or damage your car seat. If it looks okay, you can move on to the next step. Spray down whichever seat you want to start cleaning first. However, don't be too enthusiastic-if the seat gets soaked, it may get moldy. You don't want to wet the seat through. Just get the top layer of cloth wet. Once you've finished spraying, grab a scrubbing brush with soft bristles. Don't grab a stiff one, or you could hurt your upholstery. Using short strokes, scrub the car seat, focusing on any areas that are particularly stained or dirty. The soap and dirt will bubble up as you scrub. Use a wet microfiber rag or towel to wipe off the grime and rinse the area, then use a clean, dry microfiber towel to wipe off any extra water. Once you've finished the seat you started with, you can spray and scrub the next one. Once you've finished scrubbing and wiping your seats, they will still be damp. This dampness is fine-- after all, you picked a sunny day to do this chore, remember? Just leave your windows down and let the sun do its job. If you take the time to clean your car's seats, you'll have a much more enjoyable time driving. To learn more about taking care of your car so that it stays in great shape, read more of our blog posts. You use your car quite a bit. For every commute, road trip, or errand run, you hop in your car and go on your merry way. But an unexpected problem can easily throw a wrench into your routine or plans, causing frustration and stress. Oftentimes, these unplanned issues come from neglected maintenance and repairs. To keep your car in good shape, avoid the four following mistakes. Ignoring necessary maintenance can be dangerous and eventually lead to worse problems. For the safety of yourself and your passengers, it's imperative that you regularly care for your tires. Bald tires can be especially dangerous during inclement weather, as the surface of the tire doesn't provide enough traction to keep you safely on the road. Be sure to check the tread regularly so you know when your tires need to be replaced. You can do this easily with a penny. Simply press the edge of the penny into the tread with Lincoln's head facing downwards. If you can see his entire head, it may be time to change your tires. Until then, get your tires rotated every six months or so to prolong the life of your tires and allow an even wear on the tires. Also, ensure your tire pressure is up to par. Over- or underinflated tires can be dangerous. You can find the suggested tire pressure for your car in your owner's manual, and you can use a tire pressure gauge to check the pressure. If you need a little air, use an air pump at your local gas station. Most car owners know how important oil is for a car, but it's not the only automotive fluid you need to worry about. Consult your owner's manual to find out when your brake or transmission fluid needs to be changed and when your oil, coolant, and other fluids should be replaced. If you take your car in for regular maintenance, your mechanic can also warn you when a fluid needs to be changed. If you neglect to change the fluids, a small issue can easily become large and expensive over time. Failing to change the fluids can even damage your engine so badly that you need to replace it entirely, which can be costly. Washing your car does more than restore it to its shining glory. Giving it a good scrub every now and then can protect your paint job from problems like rust, oxidized paint, and corrosion. If it's too cold outside to wash your car yourself, run it through an automated car wash to rinse off road salt and dirt. As the owner of your car, you know your car better than anyone else. You know how it sounds, smells, and feels as you drive it. If your vehicle starts to make a small, odd noise, don't ignore it. If it suddenly struggles to make it up a hill it usually handles easily, don't brush it off. When you notice something different about your car, take note of it and consult a trusted mechanic to ensure it's not a concern. If the check engine light comes on, don't disregard it, even if your car seems fine. You may need a part replaced, and letting it be can lead to more expensive and extensive issues. Don't ignore regular maintenance; keep a careful eye on your vehicle and set up a care routine for your car. Check your tires and fluids, and don't brush aside the dashboard warning lights. And if you're worried something is wrong but don't know what, be sure to consult a specialist instead of shrugging it off. However, if your car looks like it may be on its last legs, or if you're thinking of getting a new car, consider donating your car to Newgate School. Doing so can allow young adults to learn how to maintain and repair cars and pursue a career in the industry. Is It Time to Retire Your Old Car? Are you trying to squeeze a few more miles out of your old, unreliable car? Many people hold on to old cars because they enjoy not having a car payment. Others hesitate to buy a new car because they don't think they will qualify for a decent car loan. Despite the reasons you are putting off retiring your old car, there will come a time when it is necessary. The decision shouldn't be made lightly. You and your family's safety could be at risk if you continue to use an old, unreliable vehicle. Here are some signs that it's time to replace your car. Are you nervous that your car will break down every time you drive it? If so, you should consider buying a safer vehicle. Unreliable cars could leave you or your family stranded by the roadside. Older cars can also cause accidents because of a system malfunction. When you drive an unsafe vehicle, you not only put your safety at risk but also the safety of other drivers as well. If you notice jerking movements while driving your vehicle, or the speed of your vehicle randomly slows, it may be time to get a new car. If you are frequently taking your car to the shop for repairs to avoid buying a new car, you may be wasting money. Sometimes, frequent or costly repairs end up being more expensive than buying a new car. Some car models are known to be less trouble than others. You may be able to avoid similar problems in the future by researching reliable car models before purchasing a new vehicle. Car manufacturers are constantly improving fuel efficiency in newer cars, whereas older cars tend to have poorer fuel economy. Identify the fuel efficiency of your current vehicle. If you are spending more money on fuel than you would on a new car payment each month, consider buying a more fuel-efficient car. Otherwise, you will likely waste money by frequently fueling your vehicle. There are many changes in life that may require a new vehicle. For example, the old beater car you used to commute to work with may not be the best car for you to take your family on a road trip. Other life events may include a new addition to your family, all of your children moving away, a new job, or losing a car in an accident. If you have started to ignore the lit service engine light because it's always on, you may need to retire your old car. The service engine light on many cars can be checked to determine any necessary repairs. However, if repairs are made and the light remains lit, the light may be failing to function properly. Such a failure will not allow your vehicle to alert you when there are serious problems with your engine. You may also have other dashboard lights that remain lit in your car. If so, seek the help of a mechanic. If he or she can't fix the problem, consider looking for a new car. Modern vehicles are much safer than older vehicles. Most new car models have safety technologies and features that can even decrease your chances of getting in an accident. Some features warn the driver of hazards; other features can automatically stop a car to avoid an accident. Consider buying a new car to take advantage of these beneficial safety features. Even if you don't buy a brand new car, many cars built within the last five years still have many of these safety features. If you noticed one or more of these signs, consider donating your old car to Newgate School. Not only will you benefit from a new car, but the students at Newgate will have an opportunity to learn from the damages on your old car. When you think of your upcoming road trip, you want to picture a clear blue sky and miles of open road. You don't want to think about your car breaking down in the middle of nowhere. To ensure your car stays in top form throughout your trip, take your car to a mechanic at least three weeks before you go. Ask your mechanic to check the following. A tire blowout is one of the most common car problems during a long trip. Ask your mechanic to look for tears or punctures in your tires that could cause your tire to lose air. Similarly, worn tires make it difficult to stop. As your tire tread wears down over time, your tires might struggle to stop your car, especially in rain or snow. A mechanic can determine how much tread is left in your tires and let you know if you need to replace them. Experts recommend that you replace your tires if they have a tire depth of 4/32 inches or less. Just as worn tires make it difficult to stop, worn brake pads can make braking scary and dangerous. Brake pads may require replacement at anywhere between 25,000 and 70,000 miles. The time to replace them depends on factors such as your vehicle make and model and your driving style. Have your mechanic check the brake pads and determine whether to replace them. Let your mechanic know if you've noticed any issues with your brakes, such as funny noises. It's better to address any issues now rather than dealing with problems during your long drive. Most car batteries last around three years. If your battery is older than three years or you've had any problems starting your car, it's probably time to get a new battery. However, some battery problems can be repaired. Have the mechanic check the battery for problems such as corrosion, leaks, and a swollen battery case. Having the proper level of these fluids can help you avoid mechanical problems. Have the mechanic check whether your headlights and tail lights are functioning fully. If you're driving in the evening, dim headlights can be dangerous-and illegal. Malfunctioning wipers can also impact your visibility. If your wiper blades make noise or just don't do their job, it's time to get them replaced. Your car's air filter keeps particles and debris from entering your engine. If it becomes clogged, it can no longer do its job. Ask your mechanic to check it and clean it if necessary. Have your mechanic repair any issues now, so you can stay comfortable during your hours in the car. Make sure to set an appointment with your mechanic a few weeks before you leave. You shouldn't have to delay your trip because of a major problem that needs repair. Right before your trip, check your tire pressure and your fluid levels. Also make sure you have a spare tire and an emergency kit that includes food, medical supplies, and a blanket. Join a roadside assistance program, or at least find out who you can call if you get in a pinch. Call a mechanic today and enjoy a safe trip! Are you ready to buy a new car? Great! Now the question is what to do with the car you currently own. If your car is repairable and has a reasonable amount of miles, donating your car is a great way to go. Donating can benefit you and benefit an automotive school like Newgate School in Minneapolis/St. Paul. Schools like Newgate use your donated car, van, or truck like a textbook. Students learn automotive repair skills directly from the vehicles. You will receive charitable deductions on your donation. If you donate to a charity that actually uses the car in its mission, you can receive the highest deduction available, a fair market tax deduction. But perhaps the biggest advantage to donating your car is the benefits it provides others. In this blog, we’ll tell you exactly how donating your car can benefit other individuals. 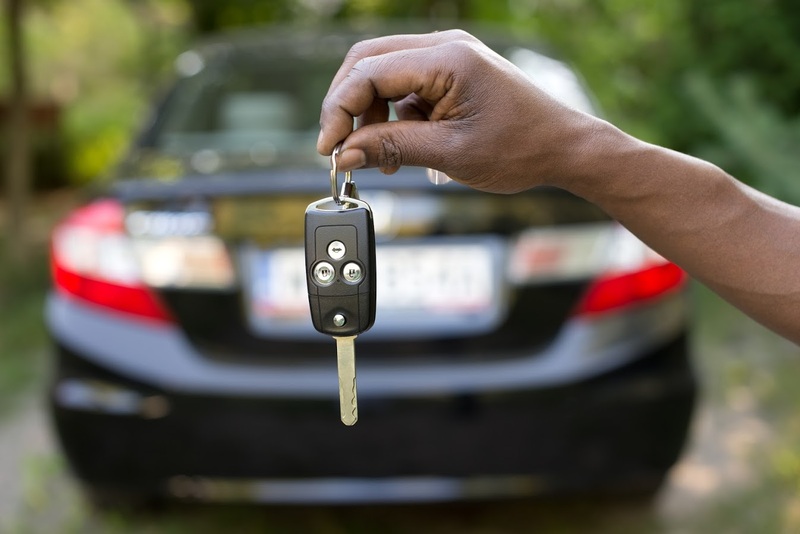 Read on to discover why you should donate your vehicle rather than sell it. Automotive schools, like Newgate School, accept donated cars and use them to provide young adults with educational opportunities. Depending on their circumstances, some low-income young adults may not have the opportunity to receive a higher education. However, your donated car provides them with a key material they need to learn auto body and mechanical repair skills. Over a course of 18 months or so, students in these programs will learn basic skills they need to become apprentices in the auto repair industry. These vocational skills allow them to be more successful as they pursue a career in automotive work. You’ll find Newgate School graduates employed as mechanics at a cement pump manufacturer and at the airport support vehicle maintenance shop. You’ll meet them painting small jets, repairing bus engines, or painting fire trucks. You’ll see them at your local mechanic shops, too. They’re everywhere, thanks to Minnesotans helping Minnesotans. Once students repair your donated car, the vehicle’s usefulness continues to grow. Many donated, repaired vehicles are given to single mothers who struggle with their circumstances. Many of these mothers are trying to become self-sufficient, but they may lack the resources to do so. She must be a single mother with one or more dependent, school-aged children. She needs to have a full-time job that she has held for at least six months. Her annual income must be less than $35,000. She must have proof of car insurance to protect the vehicle. She cannot own any other vehicles. If a woman meets these requirements, she can apply to receive a complimentary vehicle that allows her to more easily support herself and her children. While not every applicant is chosen to receive a vehicle, those who do are able to be more self-sufficient. Minnesota has only a few locally based charities that take car donations, but many national charities collect cars here and send the proceeds outside of the state. Consider the location of the charity’s headquarters before you donate. At Newgate School, all proceeds from the sale of donated and/or refurbished vehicles stay right here in Minnesota. Minnesotans helping Minnesotans—what a good thing! Some car donation programs open up opportunities for folks struggling to make a future for themselves. Some haven’t performed well in traditional schools. Others are immigrants who find English challenging but respond well to hands-on automotive training. Some are young military veterans, some injured, who need job skills to re-enter civilian life. And there are others whose lack of skills has limited their potential earnings to minimum wage. These low-income young people thrive in tuition-free automotive career schools. The possible ways your donated car assists your community are truly endless. Ready to Donate Your Vehicle? As outlined above, donating your car not only benefits you greatly, but it also benefits others around you. To get started with the donation process, get in touch with a representative from Newgate School. We accept cars of any make, model, and year as long as the vehicle is in repairable condition. When you donate your car, you truly do impact the lives of other people. Choose to donate your vehicle and see just how much this choice can benefit your entire community.